2 Corinthians 10:5 (NIV): We demolish arguments and every pretension that sets itself up against the knowledge of God, and we take captive every thought to make it obedient to Christ. If you look at the NIV, towards the end of the verse it says “we take captive every thought to MAKE IT obedient to Christ”. This is inaccurate. Anytime you try and “make” something happen, you are doing it in your own strength and effort. If you try and make your thoughts obedient to Christ, you will eventually experience failure because our flesh has fallen and its efforts will result in death (Romans 8:13). This is one of the reasons why Christians experience a torturous and frustrating life of a relationship with God that does not work, they are trying to do it by their own works rather than relying on the strength and ability of the Holy Spirit. The key difference in the KJV is bringing every thought TO THE obedience of Christ. Anytime you bring something to Christ, you are surrendering it to Him because you are saying that I can not “make” it happen so I am giving it to Chirst, I am relying on YOU! 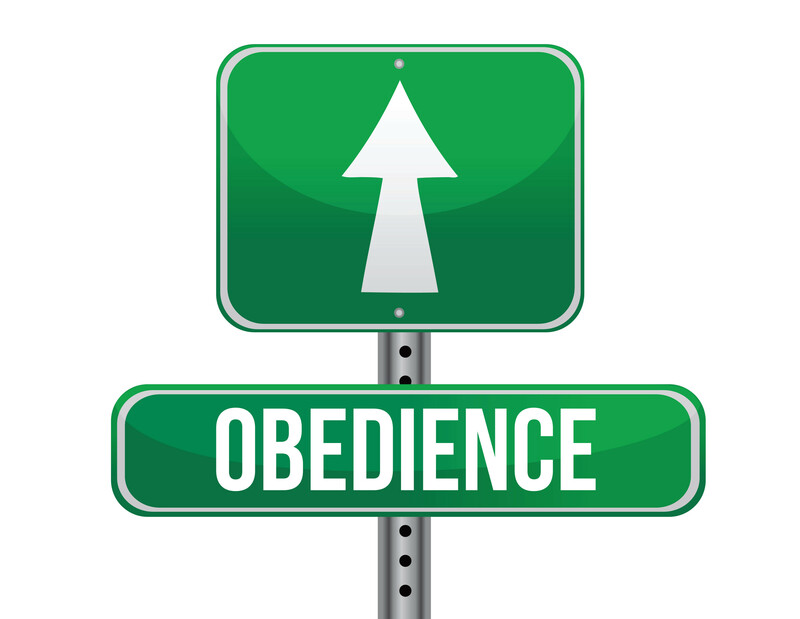 This is the magnitude of Christs obedience: Christ was obedient to God till death (Philipians 2:8)! When you surrender your thoughts to the obedience of Christ, you are acknowledging what Christ has accomplished through His obedience of dying on the cross. You are saying to Christ that you believe in and are relying on His finished work, His promises and His inheritance that He has freely given to His sons and daughters through the act of their belief. And His promises are healing, prosperity, abundance, protection, peace, fulfillment, joy, love, etc. Surrender your thoughts to Him. Tell Jesus you can not do it, and you surrender to His obedience. That you are relying on His promises, His healing and restoration, and His love for change at a heart level. When you rely on Jesus for a heart-level change rather trying to “make” it happen yourself, you release control of your heart to Him; you open it up to God which then allows Him to work in it because of your belief and obedience…..because of your Christ-like surrender. Next Post Why do you believe what you do?